Passionate. Explosive. Impossible to put down. Tasmina Perry is back with her most spectacular novel yet. When Julian dies suddenly and tragically, Diana is convinced there is more to it than meets the eye. She calls on the one person she had never wanted to see again - her sister, Rachel. A former tabloid reporter, Rachel appears to be living the dream as a diving instructor on a Thai island. The truth is she's in exile, estranged from her family and driven from her career by Fleet Street's phone-hacking scandal. The cover first got my attention (it looks like a vacation I'd love to be on) and then the summary just hooked me. I knew I had to read it! 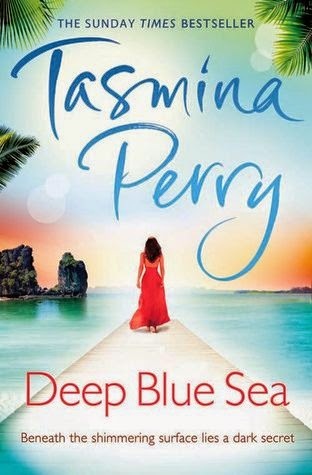 Deep Blue Sea is above all, what Women's Fiction is all about, and it's Tasmina Perry at her very best. I've only read two of her eight novels excluding Deep Blue Sea, but even now, this is my very favourite. I got a little "Revenge" (the TV show) vibe, because of the idyllic setting turned to tragedy, but that's where the similarities end, nevertheless it being one of my favourite things that lured me in being the picturesque qualities. Diana and Julian have everything that anyone could ever want. They are wealthy and glamorous, living in luxury and Diana thought they were happy. But when Julian commits suicide, Diana doesn't know where to turn. She's lost in thoughts of doubt and worry and turns to her estranged sister; Rachel, who lives in Thailand after a bad career experience. When Diana turns to her sister, Rachel decides it's about time that she solved the estranged relationship with her sister and help her in her time of need. So, travelling very far across many countries for Diana, Rachel also turns to uncovering the clues behind Julian's sudden death. I was amazed by the very storyline and the characters that graced the pages. My favourite was Rachel by far, just because she seemed to stand out to me a lot more than Diana. She seemed strong and far more complex, in a good way. Diana was a great character, but the qualities I felt were stronger in a character came from Rachel's character vibes. The mystery and suspense aspects were definitely what kept me reading. I was literally flicking the pages for hours in enthrallment. Tasmina Perry can definitely claim her place becoming one of my very favourite Women's Fiction authors. I would say that if you're a fan of glamorous, gripping novels with underlying mystery factors like a good TV show, then a Tasmina Perry novel is definitely for you. It lived up to my expectations and much more. Looking forward to more from Tasmina! A definite five star novel with charismatic characters and an alluring plot. There's a part near the ending and conclusions to the novel that was my favourite. Other than that, I think maybe my favourite parts were when a hint of mystery kicked in - it gave me a push to turn the pages quicker! Anyone who loves Tasmina Perry's novels, Women's Fiction and Chick-lit. 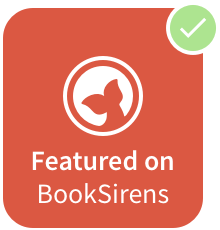 Or if you're a YA book lover thinking of moving up to some Adult novel's, this would be a great fit. Have you read Deep Blue Sea?